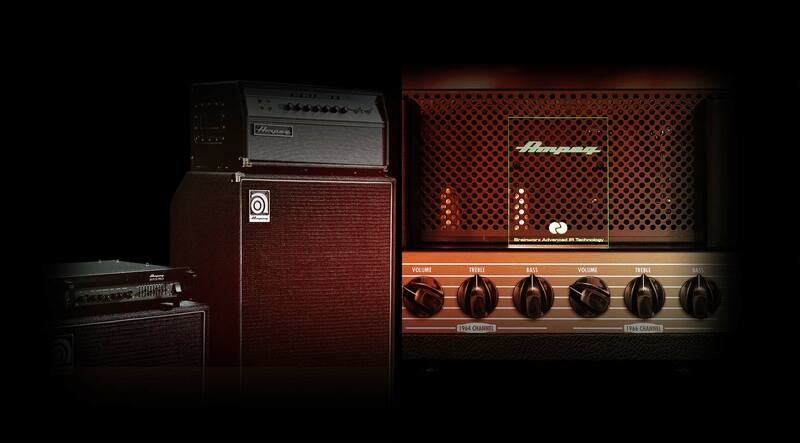 Three flavors of legendary Ampeg bass amps, exclusively for UAD-2 and Apollo. The Ampeg B-15 bass amp defined the sound of recorded electric bass, from Motown sides with James Jamerson to classic Stax records with Donald “Duck” Dunn. Featuring Unison™ technology for Apollo interfaces, the Ampeg B-15N Bass Amplifier plug-in lets you track through an exacting emulation of this 30-watt, 1x15, all-tube brute that laid the foundation for ’60s and ’70s rock, funk, and soul. Introduced in 1969, the SVT is the result of Ampeg’s desire to create the, “biggest, nastiest bass amplifier the world has ever seen.” Mission accomplished. Now you can track through or re-amp with an exacting emulation of the classic 300-watt all-tube behemoth and its equally legendary 8x10 cabinet. Lauded for its punch and versatility, the Ampeg SVT-3 PRO plug-in combines the classic tone of the original SVT, with a tighter, more modern sound. By expertly emulating its tube preamp, solid-state power section, five-position midrange selector, and 9-band graphic EQ, the SVT-3 PRO plug-in is a powerful tone tool with a dizzying array of sonic possibilities. With UA’s groundbreaking Unison technology, each Ampeg amp in the Heritage plug-in bundle gives you the unique impedance, gain staging, and circuit behaviors that are essential to each amplifier’s iconic tones.